Can you be injured in a low-speed auto collision? The simple answer is yes. Numerous studies have documented that low-speed, rear-end auto collisions can cause injuries like neck and shoulder pain. Although many studies have investigated low-speed, rear-end collisions, fewer have examined exactly what happens during frontal crashes. A new study suggests that minor injury can occur in frontal crashes at less than 8 mph. The study included 19 healthy, informed volunteers who underwent frontal crashes between 4.1-8.3 mph. Other than minor cosmetic damage and scuffs, the cars showed no sign of the collisions.Despite this, 88% of participants reported some form of mild to moderate pain or discomfort following the crash. The most common complaint was neck pain, followed by discomfort in the shoulders and upper back. In another study of frontal crashes, the authors founds that injury was unlikely to occur in collisions under 8.1 mph. This newer study suggests though that injuries can indeed occur in frontal collisions under 8.1 mph, however minimal the injuries may be. If you've been in a low-speed frontal crash and have mild pain, it's important to monitor your symptoms to see if they worsen or linger. Consult with your doctor to see if treatment is necessary. Early treatment could make a difference in preventing the pain from worsening or becoming chronic. Bunketorp O, Jakobsson L, Norin H. Comparison of frontal and rear-end impacts for car occupants with whiplash associated disorders: symptoms and clinical findings. Proceedings of the International IRCOBI Conference. Graz, Austria; 2004. p. 245-56. Croft A and Eldridge R. Human subject rear passenger symptom response to frontal car-to-car low speed crash tests. Journal of Chiropractic Medicine 2011; 10: 141-146. 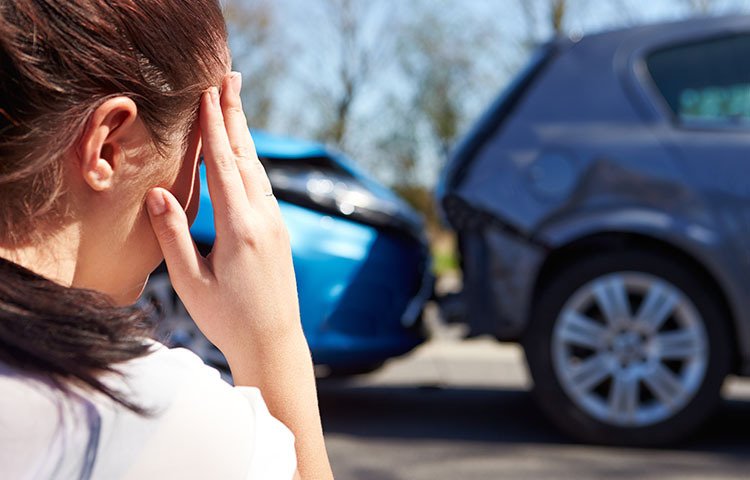 Can you be injured in a collision with no vehicle damage?